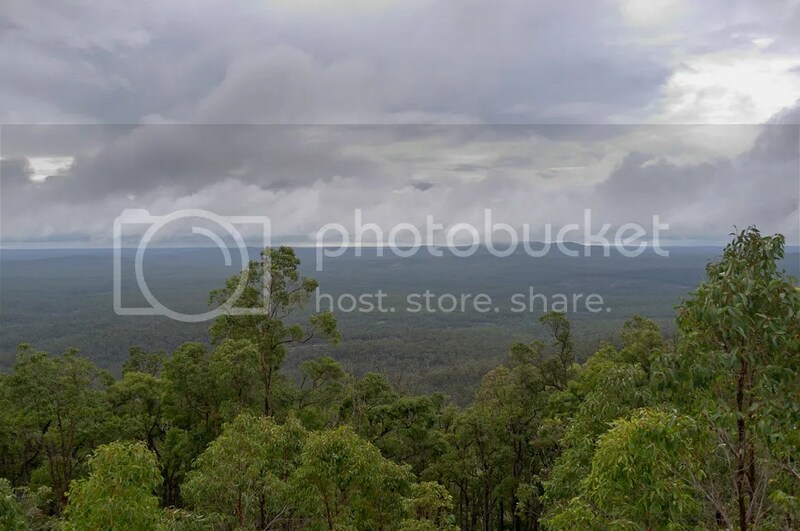 There’s an old fire tower on top of a good sized hill deep in the forest near where I live. This is the tale of the ride to the top of Mt Solus. 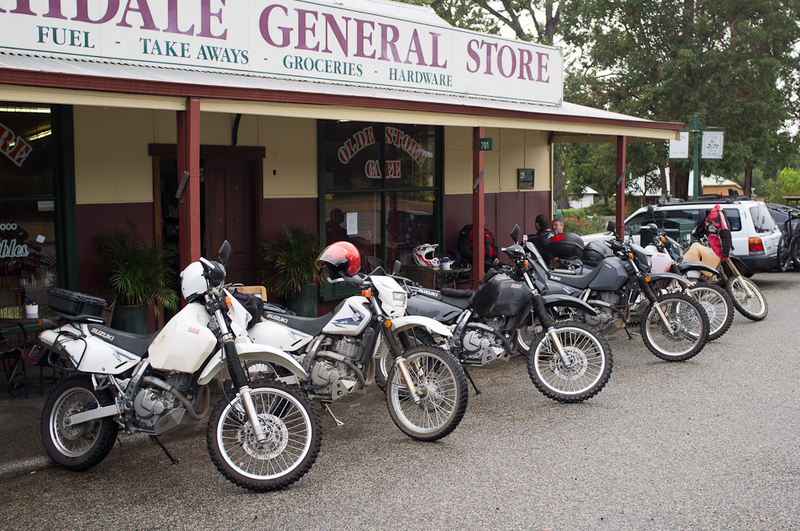 I’d never met any of them before, but from a couple of bike forums we’d arranged the ride and now we were ready. It was a beginners ride – only one of the gang had any decent off-road riding experience, so the pace would be sensible and the trek hopefully not too hard. The last bit – the bit up to the top of Mt Solus was unknown though. A friend warned us of mining activity in the area, with gravel back roads being cut by new haul roads. We had to take a different track to the top than I had planned. Anyways, we set out – I led us off, down the back roads and onto the gravel. The crew was taking it slow and I had to slow down a bit for them as they found their pace. After 1okm, we came to the first turning and headed off the roads I had previously explored and took a smaller road into the forest. They’re pretty decent roads, but better to find that out in a group! 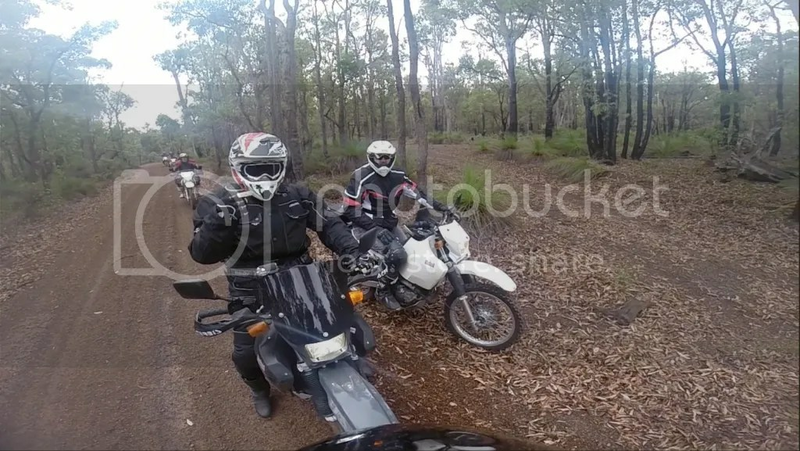 We trekked on, I dropped back and let Clint (who’d organised the ride) take the lead with the GPS, just to be sure. There are lots of smaller tracks out here and it would pay not to get lot. Eventually, we arrived at the bottom of Mt Solus only to find a locked gate just a few metres from the start of the track to the top! The most experienced ride, Jay, found an route around the side and hopped up a bank without breaking sweat. Now all we had to do was to get 5 noobs up the same bank! We all followed without too much trouble but Clint acting as tail-end-charlie grabbed the clutch instead of the throttle at the lip of the bank, lieu of momentum, gravity took over and down he went. Unharmed and unscathed, we helped him up and continued on – up the little used goat track to the top. 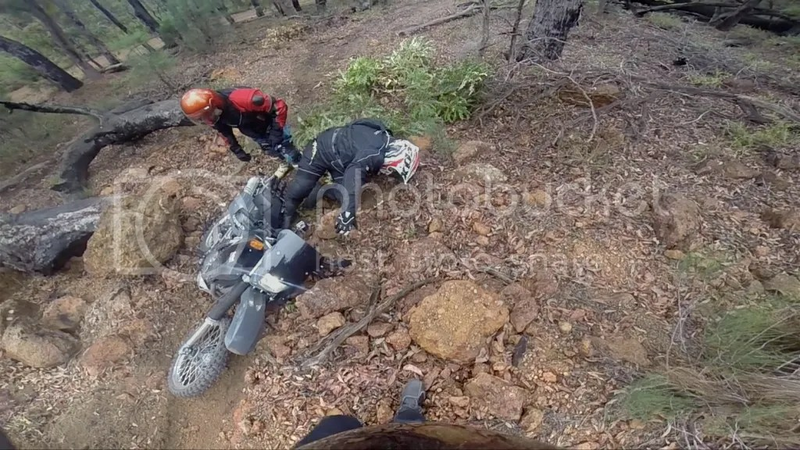 This part was fun (see video part 2) and quite technical, steeply winding up the hill over rocks and ruts. 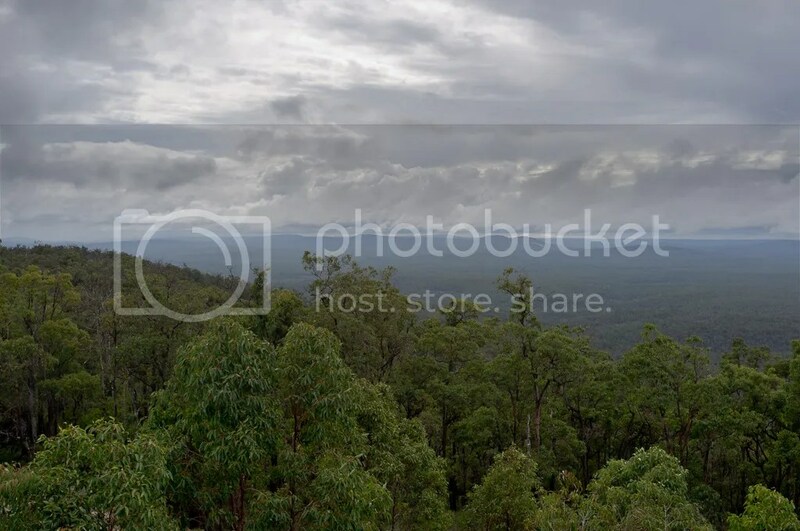 This culminated in a steep rocky track to the top where there was a clearing with the fire tower, a new communications tower and views for miles and miles over the forest. Coming back was drama free – coming down the hill was fun and sketchy in places – I really need to get some more speed up next time! 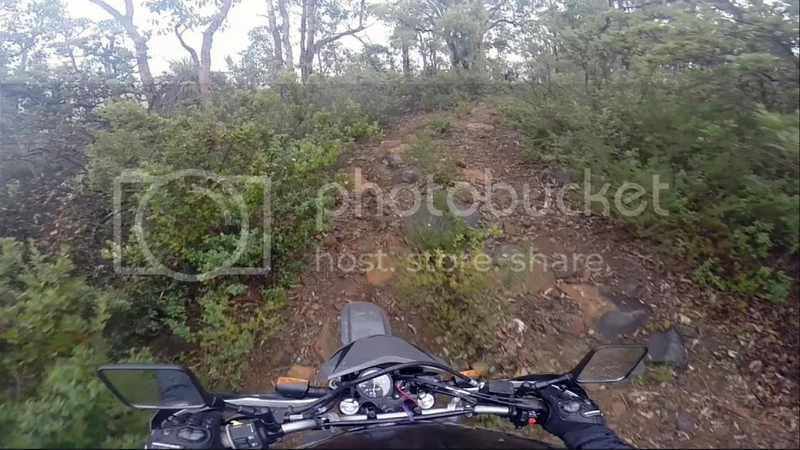 We blasted back down the gravel roads, confidence at a new high and had a roller coaster fun ride back to Jarrahdale. We went to the pub for a well earned beer and traded manly man adventure stories, just the way it should be. Fair play. Sounds like a pretty fun trip!